Wholesale Lighting and Electrical Products - Over 30 Years of Exceptional Service!! 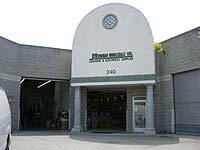 Menorah Wholesale, Inc. is a full-line electrical distributor, serving the construction industry throughout all of Southern California. We work together with hundreds of manufacturers to provide our customers with the best quality of electrical supplies. Menorah stocks and sells a full range of electrical equipment including motor control, switchgears, wire and cable, conduit and fittings, wiring devices, conduit bodies, raceway, outlet boxes, lighting, tools, transformers and many more. Our fast delivery, competitive prices, personal attention and knowledgeable staff, will assure our customers of getting what they want when they want. We want the opportunity to earn your business. Come and join our family of satisfied customers and experience the difference at Menorah Wholesale, Inc. You can depend on us for a commitment to Service Excellence. We are intensifying our focus on customer service, continuing our competitive price structure & strengthening our line of quality products. We are proud to be your source for electrical & lighting supplies. We constantly strive to bring our customers the very best in electrical products & services. Top name electrical products! Excellent service! Availability! Fast delivery! That's Menorah Wholesale! Top names. Best quality. In stock. Fast delivery. Menorah Wholesale offers you a full range of the finest electrical and lighting equipment. Discover what our regular customers already know... Menorah Wholesale is committed to offering you quality lighting & electrical products, fast delivery, and excellent personal service. Copyright © Menorah Wholesale, Inc. All rights reserved.